This USB Audio adapter converts a USB port to an audio port, letting you add a headset and microphone to your computer without the need to unplug other devices. 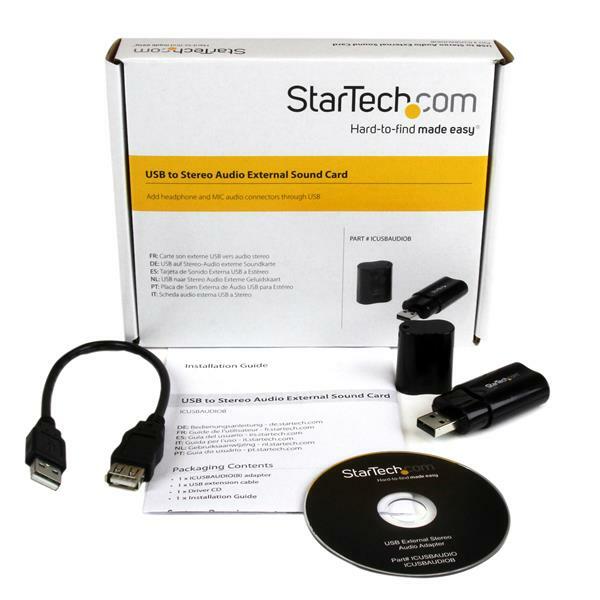 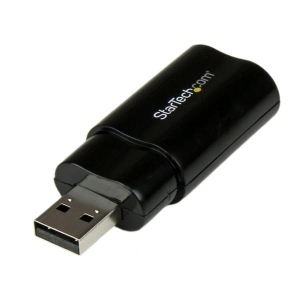 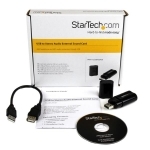 Compliant with USB 2.0 and USB audio device specification 1.0, the USB audio adapter couldn't be any simpler to install. 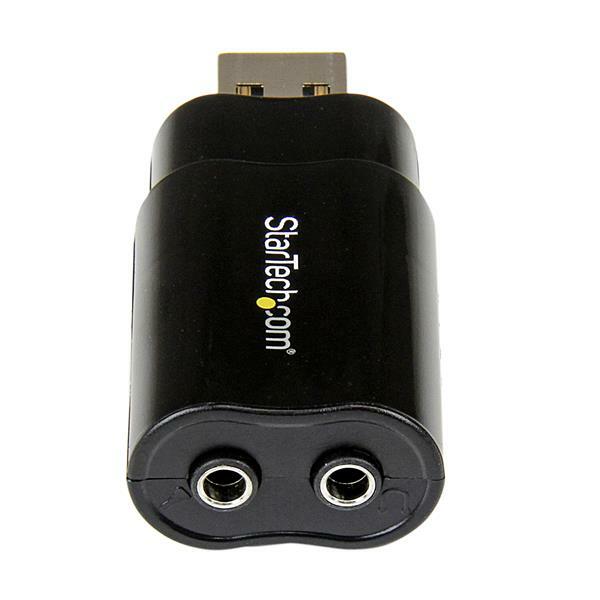 It's as easy as connecting the adapter to an available USB 2.0 port, then connecting your audio devices to the provided 3.5 mm audio ports as needed.